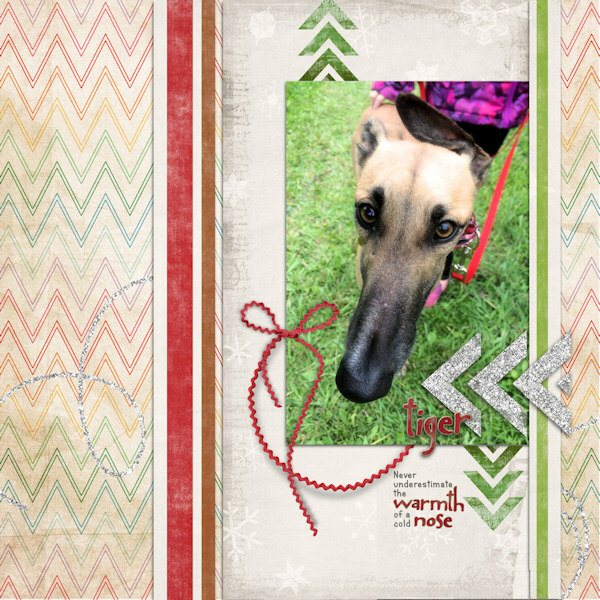 Celebrate the season with this mod vintage winter holiday themed kit, filled with color and spirit! 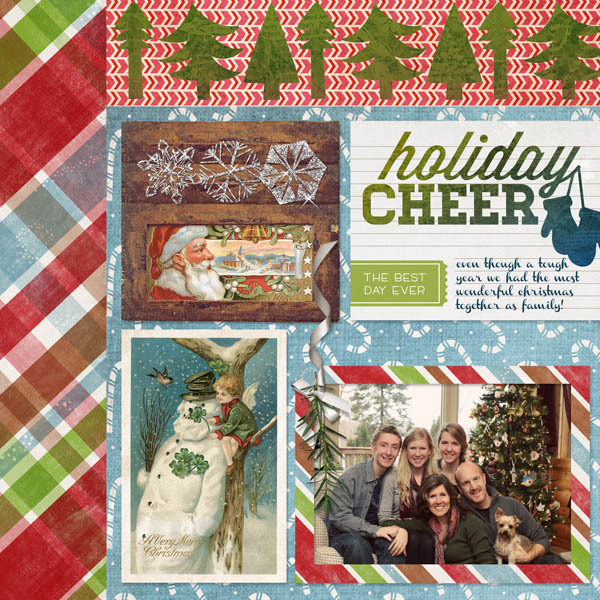 Includes 14 - 12x12 festive collage and patterned papers and 38 elements including: vintage art cards, modern journaling cards, silver glitter snowflakes and elements, wooden frames, ribbon frames, a wonderful chippy painted wood AlphaSet. 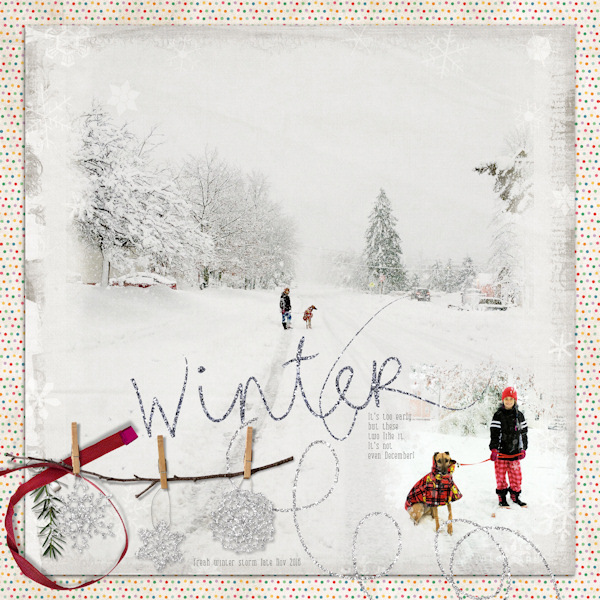 We've also added a painterly snowflake Click Mask to make your photos look like a wintery day painting! 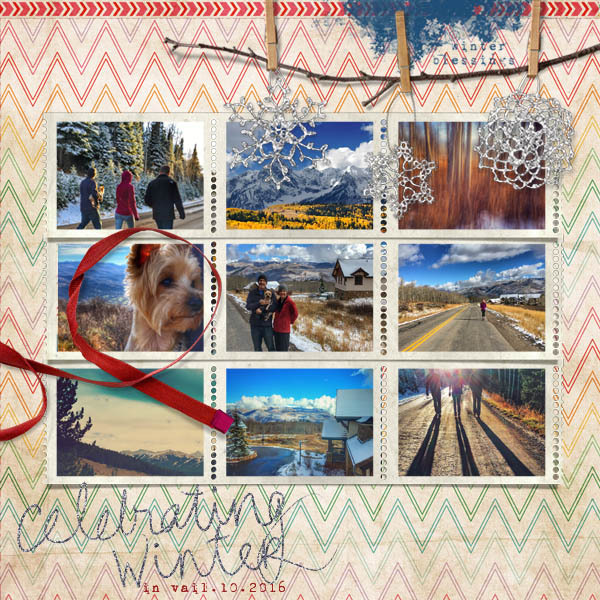 Perfect for Christmas, winter, school events, hockey, ice skating, skiing, snow fun, heritage layouts, and everyday moments.